The SLICC Group is considered a private foundation by the US Internal Revenue Service. 5.To solicit and receive donations from public and private sources to support such education, charitable and scientific programs and activities. SLICC is incorporated in the state of Illinois with offices at 4800 Friendship Avenue, North Tower 2800, Pittsburgh, Pennsylvania 15224. Graciela S. Alarcón, MD, MPH is an Emeritus Professor of Medicine at the University of Alabama at Birmingham and the Universidad Peruana Cayetano Heredia (UPCH), her alma mater. She is a Master of the American College of Rheumatology (ACR). She has received The Evelyn Hess Award and the ACR’s Distinguished Clinician Investigator Award for her contributions in recognizing the severity of lupus not only among US African descendants but also among Hispanics, particularly those with a large Amerindian ancestry. 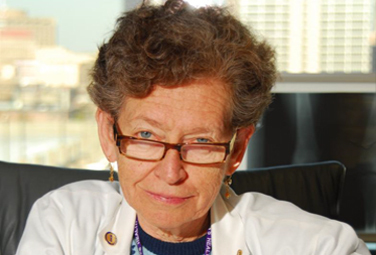 She is an Emeritus member of SLICC, an international advisor to GLADEL (Grupo Latinoamericano para el estudio de lupus), and a consultant for the Lupus Clinical Trials Consortium (LCTC). She is the author of over 500 scientific publications, author or editor of 48 books, including Idealismo y Ciencia en Los Andes (UPCH, 2014), Alberto Leonardo Barton. Las Bartonelas y la Medicina Peruana: Logros Sólidos, Reconocimientos Tardíos (UPCH, 2016) and The Bartonellas and Peruvian Medicine: The work of Alberto L. Barton (Rutgers University Press, 2018).